Late Snowmelt at Mt. Rainier: Pentak 645D, Pentax-A 645 75mm f/2.8. Below Mt. 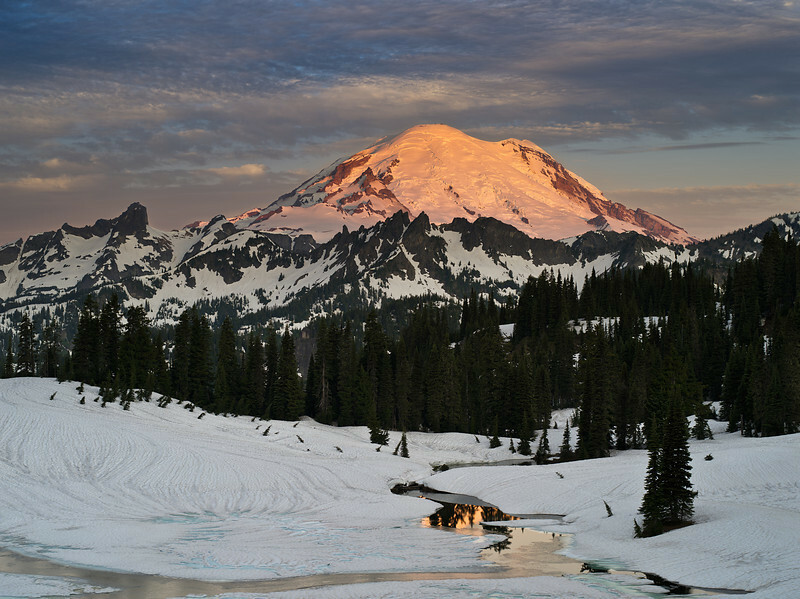 Rainier is Tipsoo Lake, just beginning to thaw. Please click on images to see larger versions. I’ve been up to Mt. Rainier a few times this year, most recently last weekend. Snow and ice are still plentiful, with wildflowers unlikely to bloom at all in the meadows. Summer, in general, has been pretty nonexistent so far in Seattle and surrounding areas. However, a late (or no) thaw does have some photographic advantages. I hope you enjoy these two shots. Unnamed Waterfall: Panasonic G3, Panasonic 14-45 f/3.5-5.6. Found this nice cascade by the side of the road. 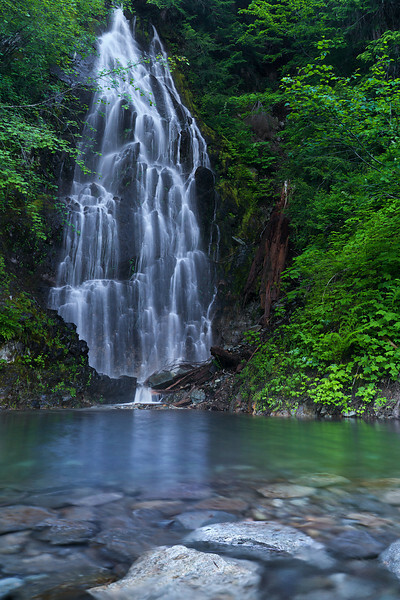 I wish I were at that waterfall….. I love both of these shots so much! I saw Linda’s comment asking if you will be at Bellevue Arts Festival. I don’t know how I became your fan, but I would like to know if you sell your work! Would love to see some more Rainier photos from you!